In this page you will find some useful information about your invoice and how it is structured. Click on the highlighted fields to access a detailed description of every section composing your Europcar invoice. RA (Rental Agreement number): reference number of the rental contract you were given at the beginning of your rental. This document is presented in the form of an airplain ticket. It contains all the details of your rental. Account: If you are a business customer and your company has an account with Europcar, this will show the number of this business account. 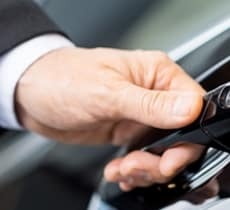 Contract: if you are a business customer and your company has a negotiated contract with Europcar which you used for the rental, you will find the Contract number here. Driver: the Europcar ID of the driver/customer. You can use this number to identify yourself in the Login section of our website. Check-out station: Here you will see the pick-up time for rental and the name of the rental location where you collected the vehicle. Check-in station: The drop-off time at the end of your rental and the name of the rental location where you dropped off the vehicle. Dates and times: dates and times indicated can differ from the ones selected at booking time, since here are displayed the actual dates and times at which the vehicle was picked up and dropped off. Vehicle: the ACRISS code of the vehicle. This is a car rental industry code which indicates the size and properties of the vehicle. In this section you will find the billing details, it contains: . Rental agreement n°: reference number of the rental contract you were given at the beginning of your rental. Due date: states the invoice due date. All our customers are kindly asked to respect this term. 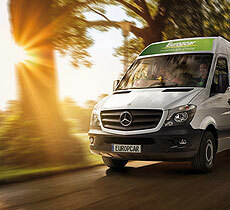 Contract n°: if you are a business customer and your company has a negotiated contract with Europcar which you used for the rental, you will find the Contract number here. Exchange rate (when appliable): exchange rates may apply when booking abroad. This section reports the exchange rate applied at the invoicing time. 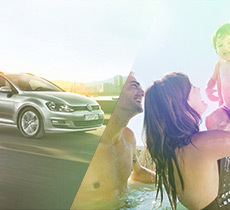 This section is not present on all Europcar invoices and will appear only in certain cases such as when your booking was made through an Europcar partner / Tour Operator / Travel Agency. It features a detachable label to ease payment if you pay by bank check and contains all the details needed by our accountant to process your payment correctly. Rental Agreement: reference number of the rental contract you were given at the beginning of your rental. This document is presented as a plane ticket. It contains all the details of your rental. In this section you will find the charges applied to your invoice. 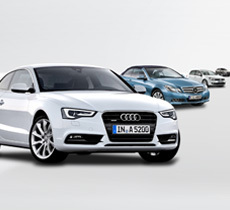 Product: Internal reference of the Europcar product which you purchased. If you are a business customer, then this reference Id may be used by your company. Fuel charge: Price charged for the fuel you consumed when you did not return the vehicle with a full tank. Full tank option: Price of the option you chose allowing you to return your rental vehicle with an empty tank. OneWay charge: Price charged for returning the vehicle to a different rental location from the pick- up location. Super LDW: Price of the Super Loss Damage Waiver reducing or eliminating the excess in case of damage/theft occurring to the rental vehicle (as per T&Cs). Only available if LDW is purchased. 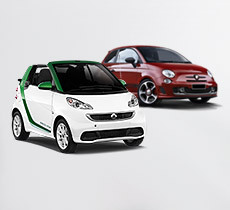 Additional product: Internal reference of the Europcar product which you purchased. If you are a business customer, then this reference Id may be used by your company. GoZen: Price of the Go Zen cover which you chose to protect your rental in the case of Tyre damage, theft, Windshield damage, Collision damage, with reduced excess.